This broken tombstone marks the grave of a man, who was hit by the force of tragedy so strongly, that he found it impossible to go on. 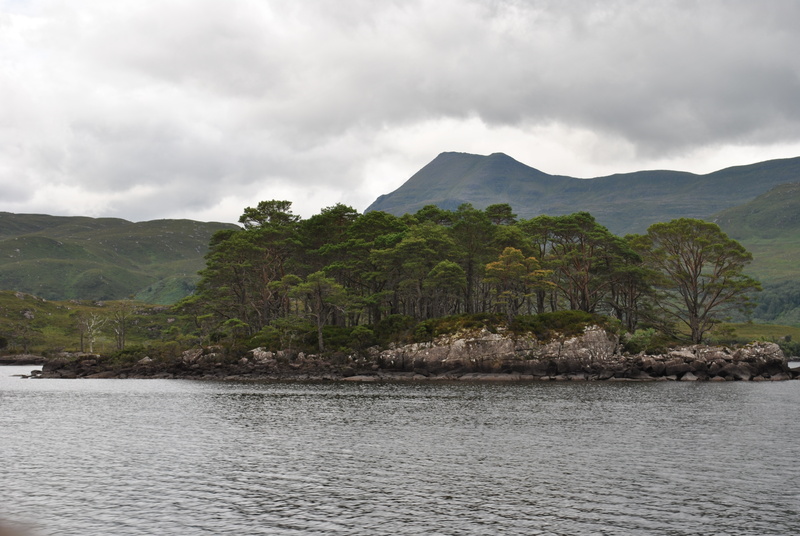 Alexander Robertson died not long after disaster stuck his hotel on Loch Maree and was buried in the ancient burial ground of Isle Maree, the very place where the tragedy had taken place. 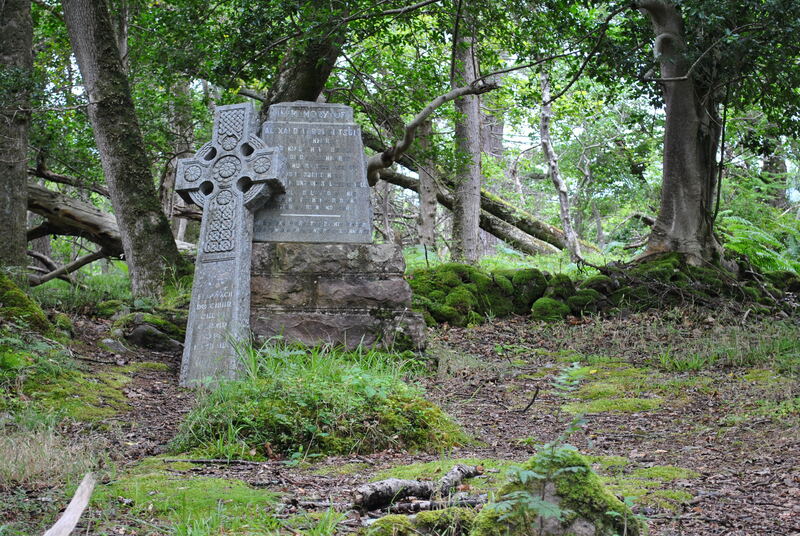 A very small burial ground in the center of Isle Maree is his final resting place. Alexander Robertson ran one of the most distinguished hotels in the Highlands, the Loch Maree Hotel. Even Queen Victoria stayed for a few days in 1877. The Loch was famous for its trout fishing. This is what brought a company of holiday makers to the hotel. On Monday, August 14th 1922 they went fishing: 13 guests, 17 ghillies and boatmen and two of their wives. 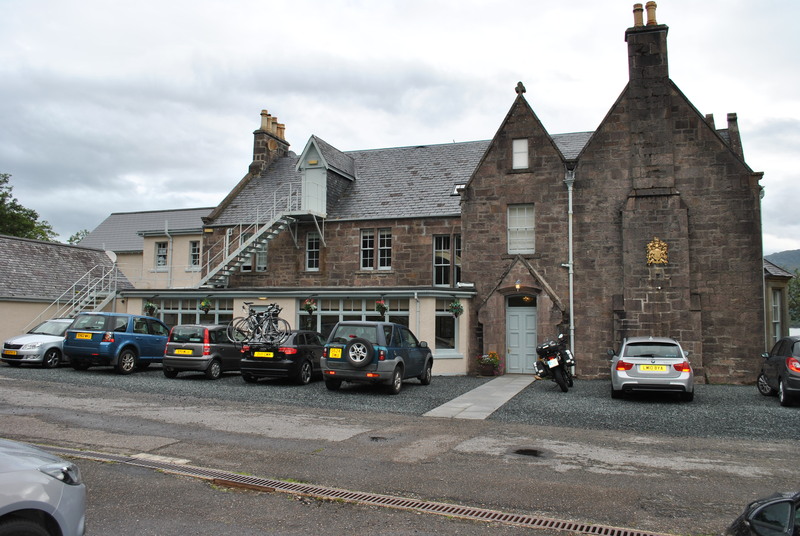 Alexander Robertson’s hotel had supplied them with packed lunches, first class food aplenty. The party settled down midday and started eating. 8 of them not knowing, that they would be dead within a week. Disaster struck in microscopic form. And the symptoms started on the very day: double vision, dizziness, weak muscles, inability to swallow food or open the eyes. One of the jars with potted duck pâté contained a highly poisonous ingredient. A later thorough examination revealed the fatal truth: bacillus botulinus. Only one jar had contained the deadly food. Those who ate it, died. The London factory, that had produced the meat, was examined by the authorities; Alexander Robertson’s hotel was thoroughly searched. The following inquest exonerated both. The factory had done everything to secure the food against contamination. How was the hotel to know, what was really was in that jar when they packed the lunch packets? The cook, Miss Jessie Finlayson had no idea. How could she. 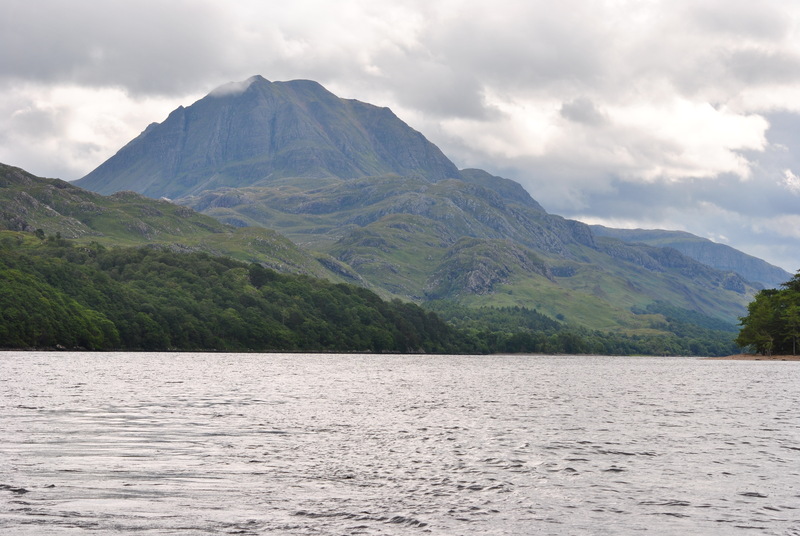 The Loch Maree tragedy remains the most deadly case of botulism in Scotland. It wasn’t his fault but he found himself unable to live with its consequences. Somehow a germ had found its way in a jar of potted meat and killed 8 holiday makers, and as a deadly consequence, the hotel proprietor who could not stop feeling guilty. Alexander Robertson found death in January 1925. He was only 47 years old. Thank you so much Paul for this contribution. Your family must have felt really lucky to still be alive…. and alone fishing.